Hawaii, following the lead of the mother country, the United States, is in the midst of a manufacturing boom with the ukulele as the chief product, an article less deadly than war munitions and less high-priced than flour and women’s boots. 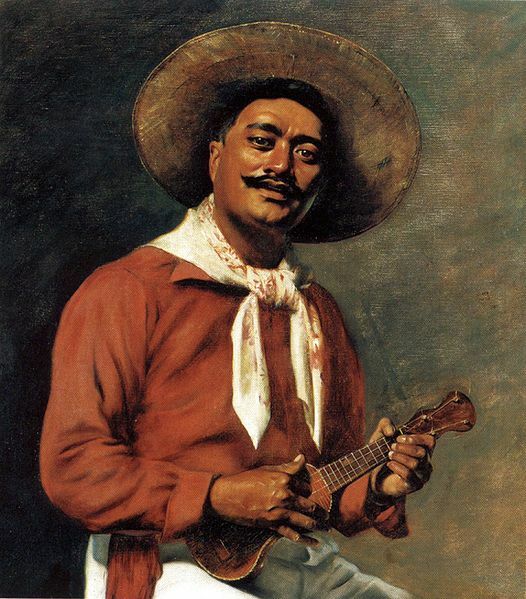 The popularity which Hawaiian music has achieved in this country is responsible for the making of ukuleles, on which this music may be played, or which may be used for purposes of accompaniment. The ukulele is a guitar which never grew up. It produces a melodious groan, just as the Hawaiian steel guitar produces a musical whine. It is easy to manufacture and easy to play, which accounts, perhaps, for some of its popularity. String in string with the ukulele goes the “Hawaiian” song, a missionary’s hymn elaborated, syncopated and generally disguised, and full many a man and girl are doing yeoman service in trying to master these songs of the islands who never sang a good old gospel hymn in their lives. Fine business for Hawaii while it lasts. Only, if it grows and lasts much longer, there is danger that Connecticut will soon be making most of the genuine Hawaiian ukuleles, to the detriment of Honolulu. In an earlier post, I noted a newspaper report about Smithy (famous Australian Aviator) buying a ukulele in Hawaii to keep his co-pilot awake. Tim Kalina has now very kindly shared a photo of Smithy holding the ukulele while sitting on the front cockpit of the “Lady Southern Cross”, a Lockheed Altair. The photograph was taken at Wheeler Field, Hawaii, in 1934. His copilot, Gordon ‘Bill’ Taylor (later Sir Patrick Gordon Taylor), said in his book Pacific Flight that Smithy played well. Photograph courtesy of the T. Kalina Collection (many thanks to Tim). So, why do you want to join the army? 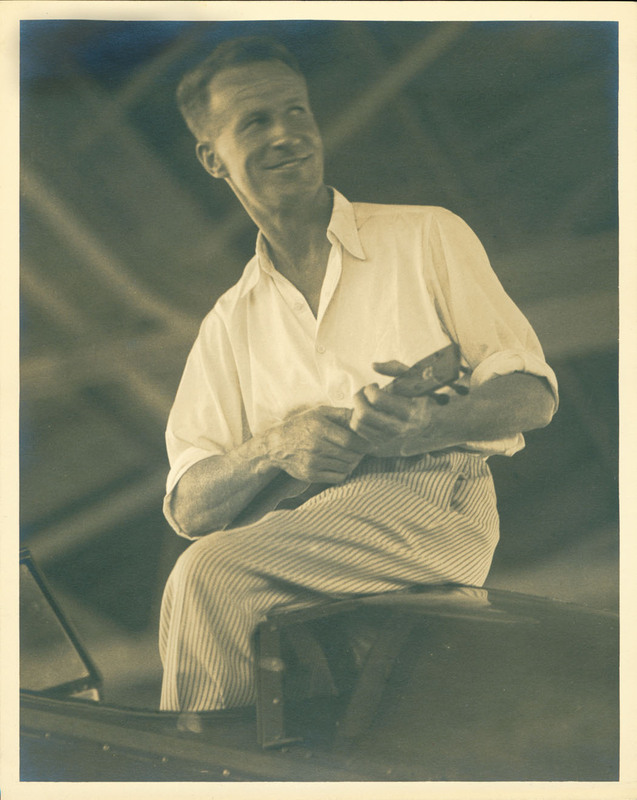 TOURISTS INTENDING visiting the CRATER OF HALEAKALA, will do well by writing to W. F. Pague, Manager of Ukulele Hotel, situated near the summit. According to one site, the ‘Ukulele Hotel’ was a camp house at the 4000 foot elevation of the shield volcano.